We enjoyed our stay, but the late check-in and early check out seemed to take away from the experience. Also, there were no shampoo etc. there, which is also a hassle. Great house in the woods. Memory evoking fun stay at our original family home. Our family reunion visit felt like returning home since we lived in the same house forty years ago. The floor layout amply accommodated our seven adults. We had fun using the sled provided by launching ourselves downhill for a 100+ foot ride just off the driveway and made good use of the mud room. The main vaulted ceiling space felt larger than it actually was. There were plenty of games and puzzles. The kitchen was well stocked with equipment but we did have to do a little cleanup inside the sink cabinet. Temperature controls kept the house very comfortable during one of the last snows of the season. We didn't use the deck as it was covered in three feet of snow. The agents were prompt, accurate and helpful. 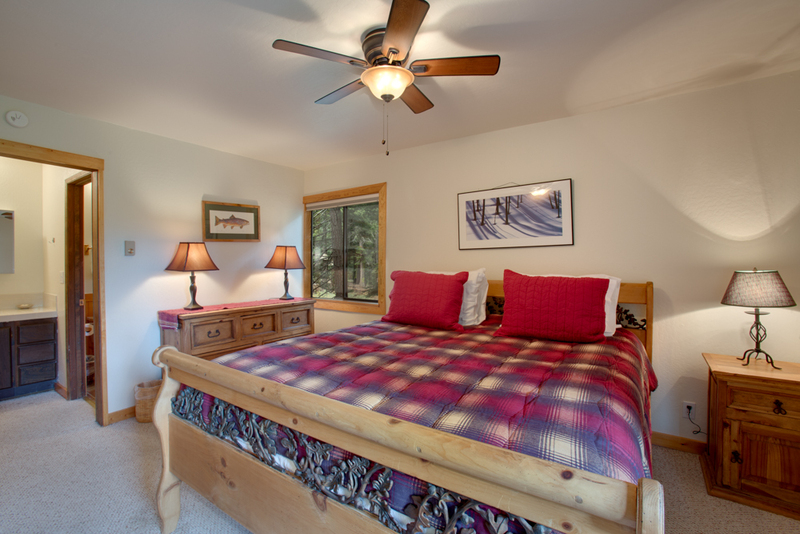 Overall we had a comfortable and enjoyable five night stay and would consider renting again. 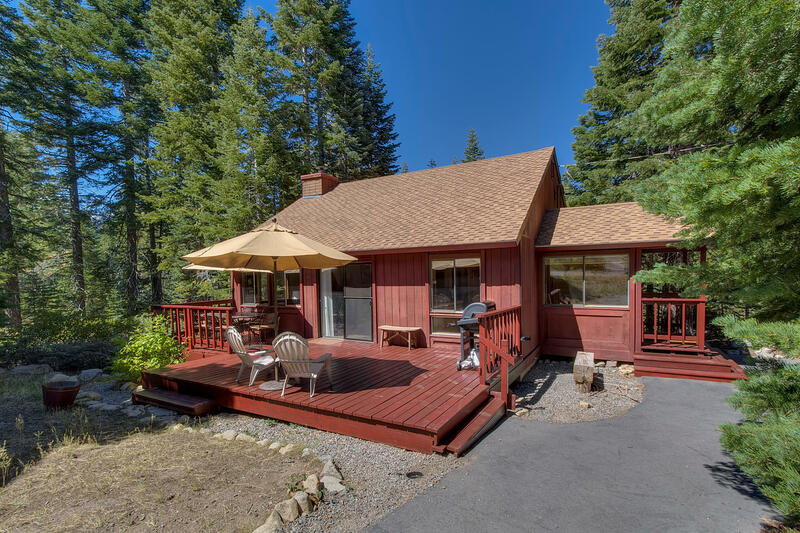 Great overall cabin,great location short drive to beach or Tahoe city. Has everything you could think of to enjoy your stay. Cabin was very comfortable and in good order. The bear security was easy to disconnect and re-connect. We all loved the hiking trails which started at the end of the street. Starting the Gas fireplace was a challenge but with closer inspection figured it out. We would definitely rent again. 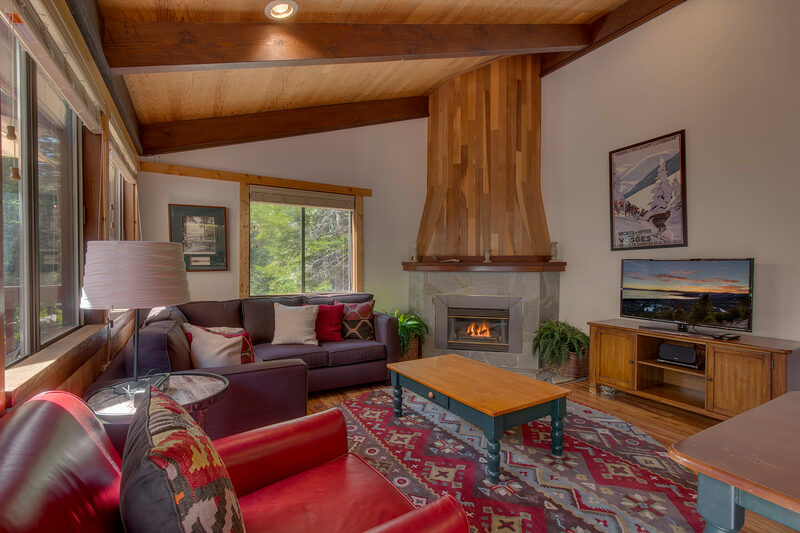 This West Shore cabin is not only in a great location, but a great cabin for a family. The location gives you easy access to both South Shore and North Shore activities. The neighborhood was super quiet which was great. The cabin itself was really a great space. We rented it for our ourselves and our 2 adult sons and their wives. For a group of 6 adults, it was great. There is a downstairs bedroom that is very quiet and private. The outside deck just off of the living room, was super great for family dinners with a nice patio table and chairs. The deck got a lot of sun, so it was really nice to just sit out there and relax. We also used the fire pit on the other side of the house for smores! The house is decorated really cute and fits the mountain atmosphere. The beds were really comfortable as well. The cabin had everything we needed for cooking as well. We would love to stay here again! All in all a pleasant stay. Would rent this cabin again. We'd definitely stay here again, maybe in the summertime if it's available. Thanks for everything! The house was great and met expectations except for a couple of light bulbs that were burned out. This is a very nice vacation home, everyone loves it. The house is clean, well decorated and feels comfortable. However there were a few things need to be look at. 1, the wifi/internet speed is very slow, take forever to load when surfing the web, the TV considently need to buff when watching YouTube. 2, all the closes are out of battery. And there was one more thing but I couldn't remember now, probably not important anyways. But over all, we love this place and would come back again if there is a chance to. Very good place, clean, big, great location. The house was beautiful and spacious inside. It was very clean. It was very quite and peaceful as well.We had a wonderful time just relaxing. We would diffidently stay there again. Delightful house rental. Clean, well equipped and attractive furnishings. Comfortable beds and rooms. Would stay again. Management was most helpful and responsive to a small electrical problem with kitchen lights, and took care of on Thanksgiving morning !! Me and my family enjoyed christmas in this cozy house. The two living room spaces was perfect for the adults and kids to play and enjoy the holiday. The rooms were large and the kitchen was perfectly equipped for us to cook meals and bake special treats for the kids. The snow toys that were available for the kids to use was the perfect surprise and made our stay awesome. We truly enjoyed it. 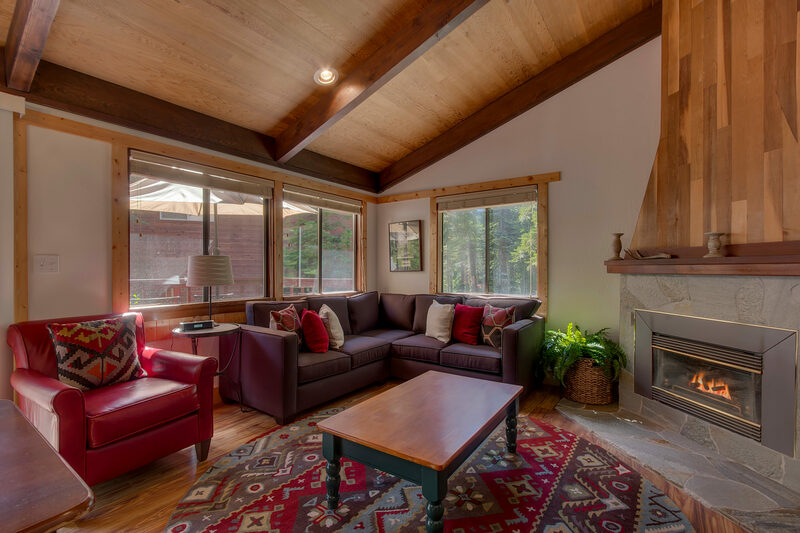 We reserved this cabin for a one week Spring break vacation with our 3 young children. 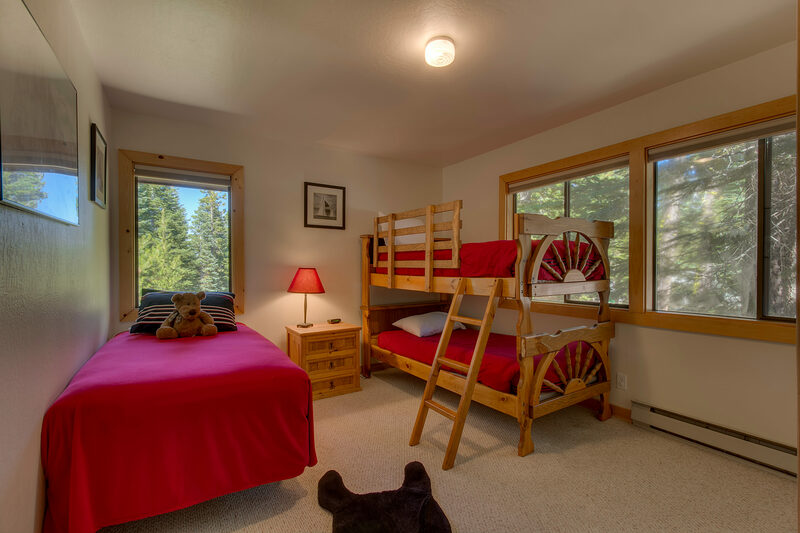 The cabin is very kid friendly, with bunk beds for the kids and a great collection of toys! During our stay, the BBQ fell over during a severe wind, damaging the BBQ. The management company was very responsive and replaced the BBQ in a day after first attempting repairs. 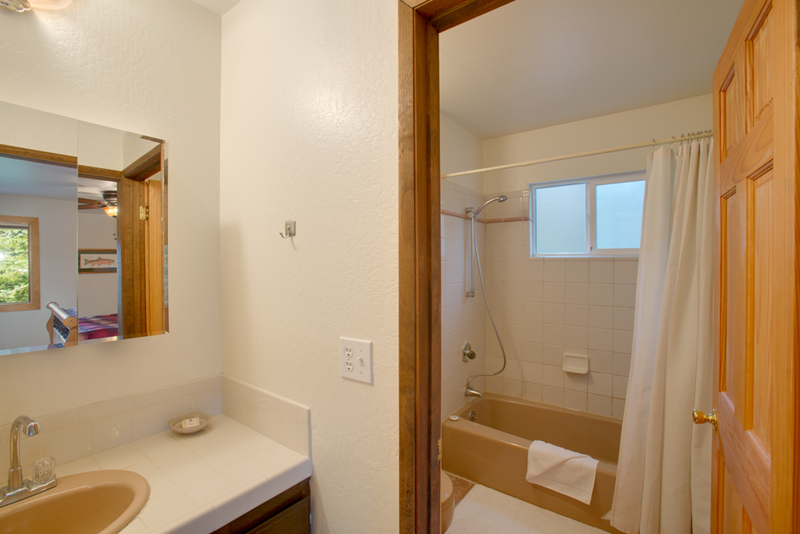 The only downside of this property is that it is not "walking distance" from the beach, so you will need to drive get to the lake. 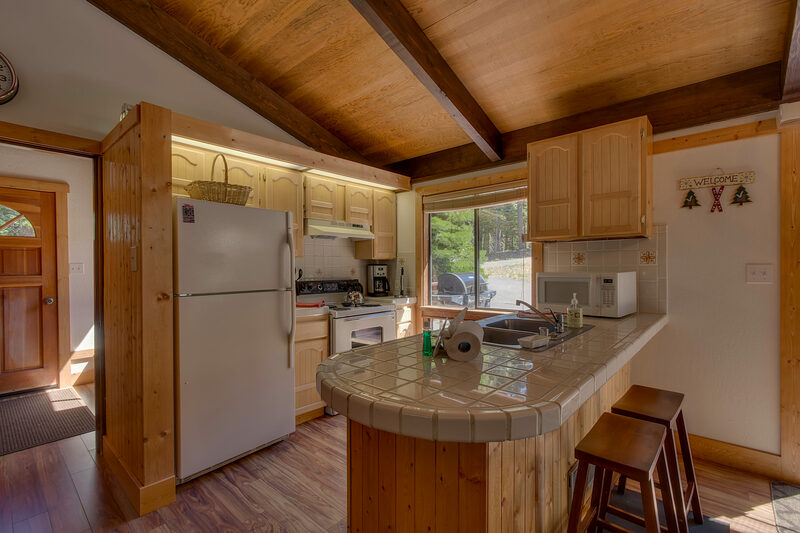 Being that we live in a tourist town ourselves (santa cruz), we are always somewhat tentative of renting a house in another tourist location (neighborhood, quiet factor, etc). This cabin was perfect! SUPER quiet with friendly neighbors and house was clean and cozy. Trail head right up the street that was excellent for running; very short drive down to the lake. Emails with the property management company ALWAYS answered quickly! Overall awesome 2 week getaway. 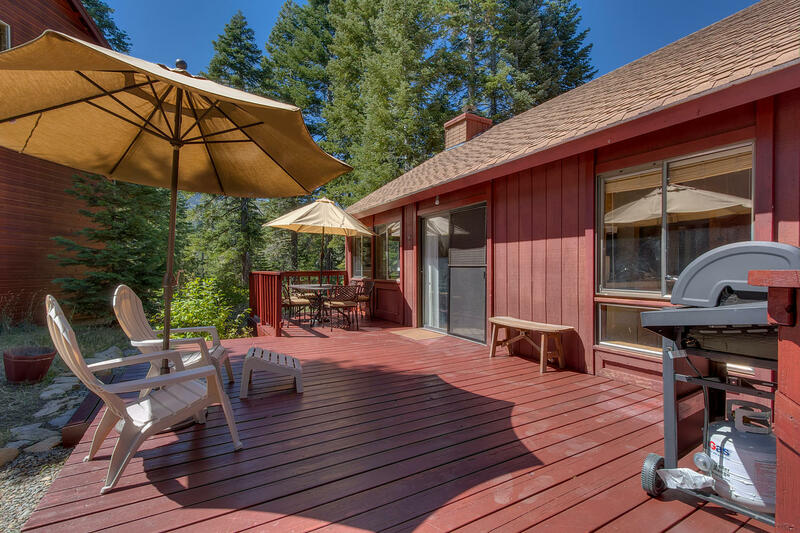 House was perfect, very Tahoe - made for a great getaway. Close to Homewood and Sunnyside yet far enough away from the crowds. Great neighborhood with lots of privacy. Nice to sit out on the deck after a day of skiing and enjoy the tranquility that Tahoe has to offer. House was stocked with everything we needed. Looking forward to coming back. The property worked great for our family. 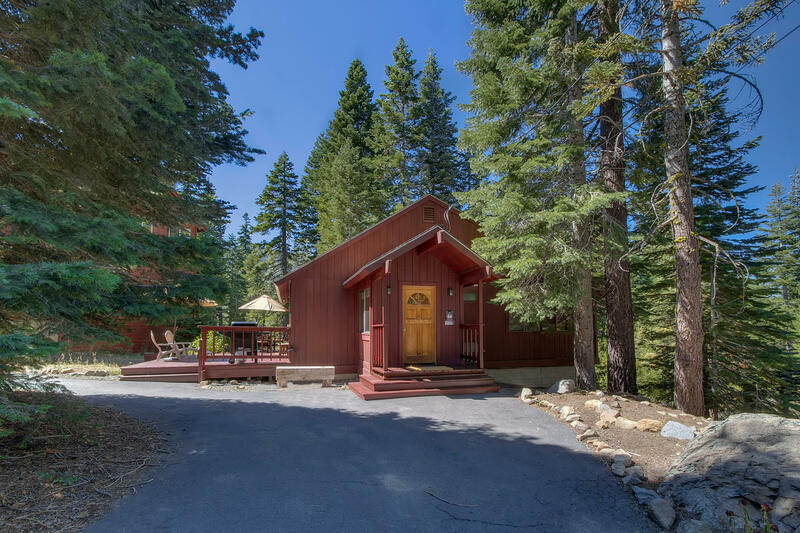 The property was well stocked and clean, the beds were comfortable and the downstairs family room was great for our children while the adults visited upstairs. We called the property manager for a small item and they were very quick to respond. Would stay here again and have recommended Pine Ridge to our friends. I had a great time there and enjoyed the home and all its ammenities. It slept 5 adults and my younger grandchildren comfortably and we will definately be back for the winter fun! Great experience! This is the 2nd year in a row that we have rented this same cabin. 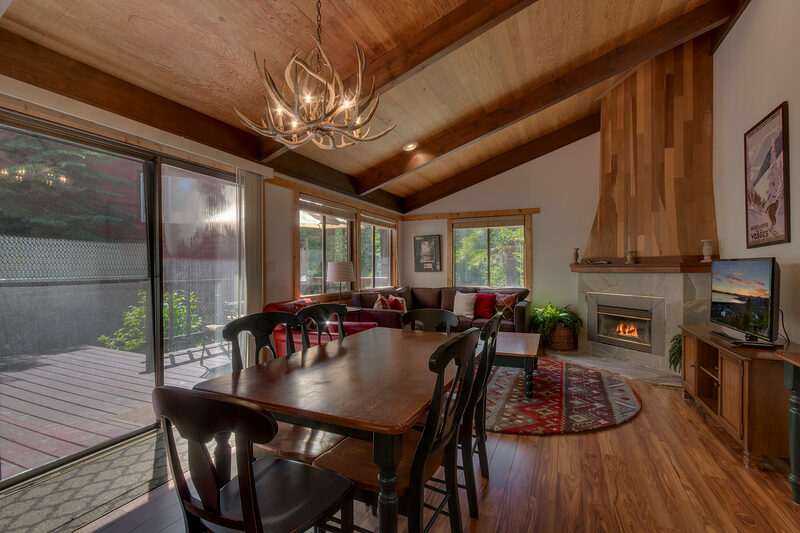 We love the location and cleanliness of the cabin. Always a clean and comfortable stay. The rental company are always easy to contact and are quick to reply. 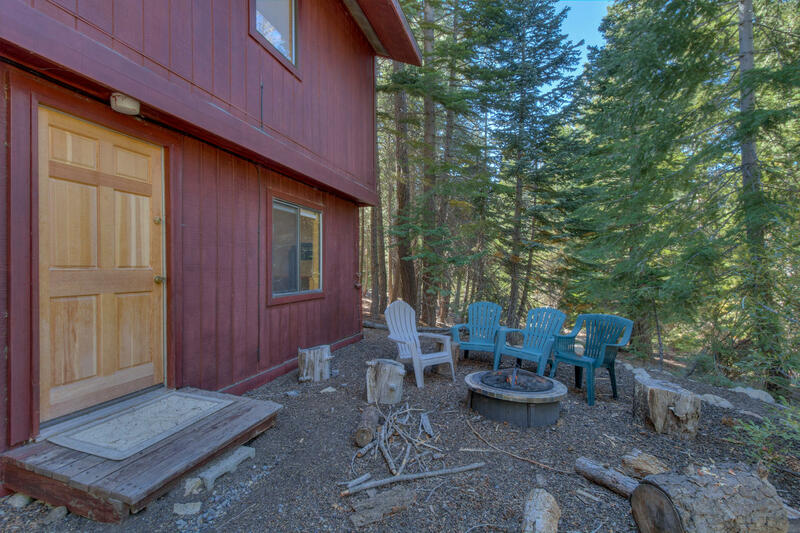 We will definitely continue to rent this cabin.